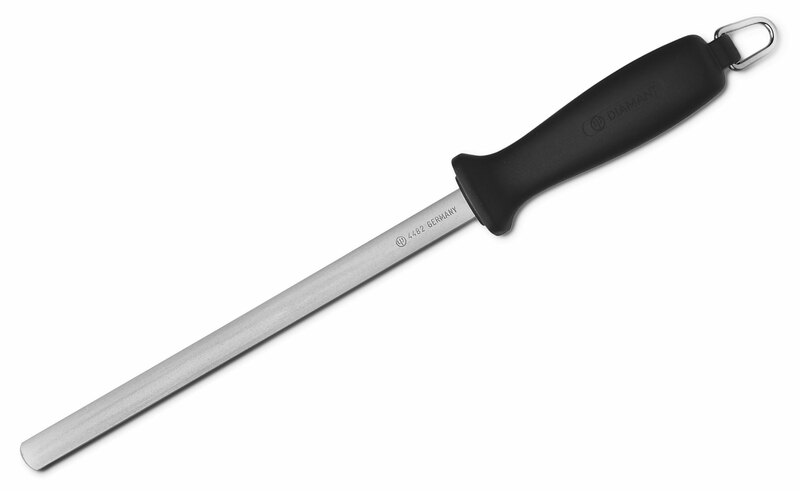 The Wusthof Diamond Sharpening Steel aligns your knife edge and unlike traditional steels. Diamond Steels contain fine abrasives that sharpen your knife as well as re-aligning the blade. 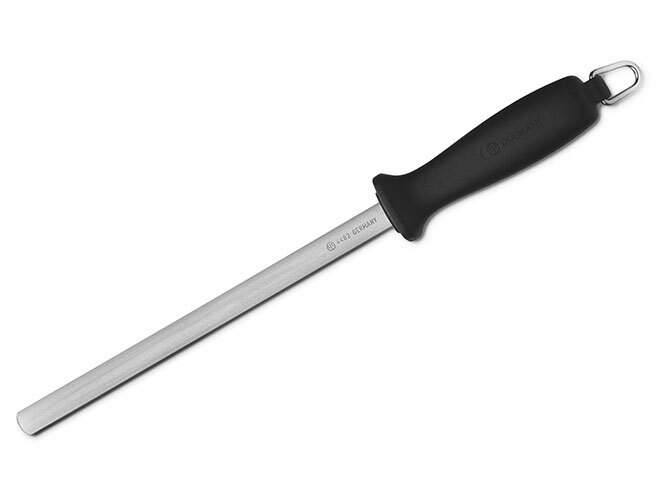 Works as a traditional honing steel, the diamond steel is very fine and and can bring up a very fine edge.